Samuel Ortom, Governor of Benue state, has dragged Adams Oshiomhole, the National Chairman of the All Progressives Congress (APC) to court. 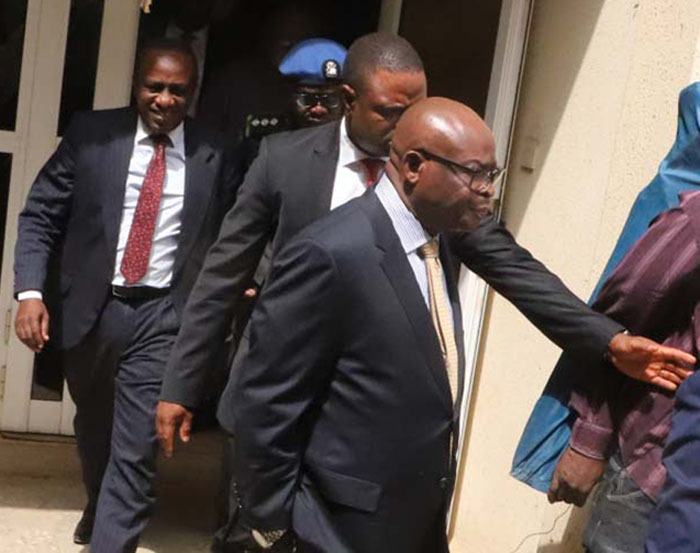 It read in part: “It is the aggregate of your allegations that our client has confessed to sharing Benue State money with party leaders and that despite the collection of bailout and Paris Club refund monies”. Irabor quoted the former Edo Governor as saying “Gov. Ortom has not and is not paying salaries… the vicious circle of poverty in Benue State has been deepened under Gov. Ortom”. He added: “By deducible analysis, it is also your allegation that our client is responsible for the killings in Benue State specifically the unfortunate killing of 2 Catholic priests and their parishioners in Mbalom community which sad event occurred on the morning of 24th April 2018. “It is the complaint of our client that the false and offensive publication has deeply injured his reputation by portraying him in literal, unequivocal and unambiguous terms as a dishonest, fraudulent and violent person who has not only diverted the various intervention fund meant for salaries and arrears by sharing same with party leaders but is also an accomplice to the killings in Benue State. 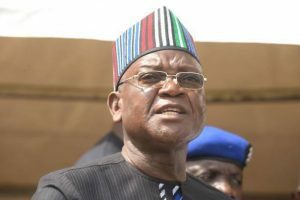 “It was in this parlous state that the Samuel Ortom led administration applied for the said #69 billion as bailout funds but it received #28 billion of which #12.5 billion was meant for the state and the balance of it was meant for the Local Government Areas. After carrying out staff verification, the State paid 4 months arrears for January 2015 – April 2015 and was able to save #1.6 Billion as a positive consequence of the verification exercise. Unfortunately, the #1.6 billion saved from the verification exercise was garnished by the workers of Taraku Mills Ltd who had earlier secured judgment at the National Industrial Court before our client became Governor. “On the issue of Paris Club refund, the expenditure profile by the Benue State Government is also in the public domain as our client in the spirit of transparency, probity, honesty, and accountability has variously engaged the Benue people through several interactive sessions entailing phone-in programs vide the state media. Irabor then made the following demands: “A letter of retraction/apology addressed to our client in respect of the false, defamatory and libelous statement made against him in the sponsored press conference herein complained of. “Payment of #10,000,000,000.00k (Ten Billion Naira) only to our client as punitive, general, exemplary and aggravated damages.